I saw that show. Still have the ticket stub to prove it. 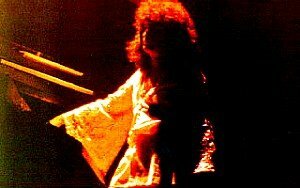 I couldn't have told you the day after the show if they played The Remebering but I do recall Moraz getting pissed at his equipment and kicking the crap out of it. 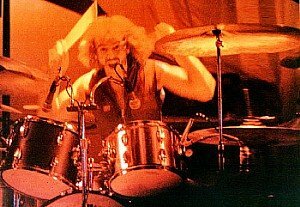 I wasn't there, but I just heard Remembering '76 [so to speak] probably from something called "Millersville Rehearsals". 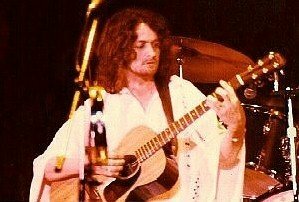 I'm not completely certain it wasn't from this night or from 5/31/76, but it sounded like more of rehearsal. Rehearsal or not it was jaw-dropping. Already one of my two favorite Topographic pieces, here it was given the Moraz treatment. 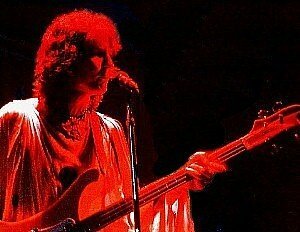 P. Moraz was my favorite Yes keyman. 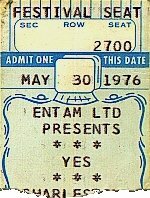 If anyone out there in Yesfanland has or knows of a recording containing either of the full performance Morazified Rememberings [5/30/76 or 5/31/76], please so advise! 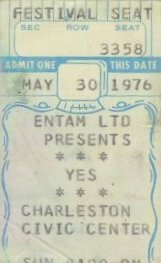 They definitely played "The Remembering" in Charleston, WV on 5/30/76. Jon announced it as "something we wanted to try on this tour" and had to read the lyrics from a piece of paper. It was rough, but still great. Moraz was having big problems with his Mellotron throughout the set and finally got really pissed and took to kicking it during "The Remembering." It was the only gig I saw where they played it that summer.